These days, if I actually purchase something, it's usually Monikh's fault. 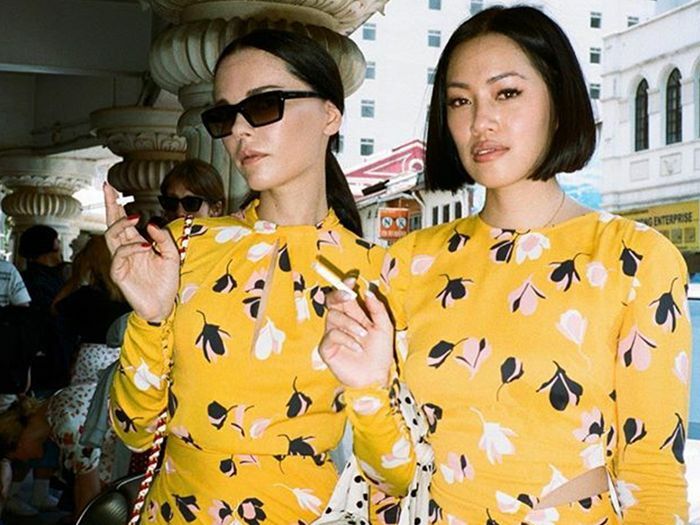 The London-based influencer just has a knack for hunting down truly useful, chic, ultra-versatile items that go the distance. When you see her wearing them in person (or on Instagram), it's hard not to want her chosen edit for yourself. The rest of social media can be littered with #spon posts only, and It items can be forced upon us at the whim of a brand with big bucks, but Team Who What Wear is always on the lookout for items that are fashion friends and readers are genuinely buying for no other reason than they are bloody great. Last week I was on a trip with Monikh and various industry insiders. 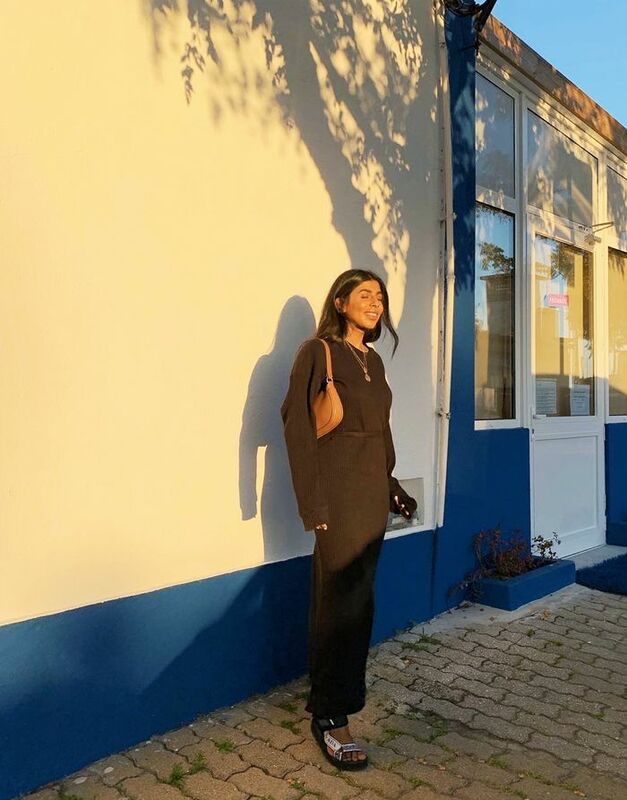 From PR gurus to magazine editors and other influencers, three super-stylish women couldn't help but instantly purchase the black dress she was wearing. So relaxed and comfy-looking, this simple black wrap maxi enthralled the lot of us. And I wasn't exempt from the love-in: I didn't buy it on the night during the dinner we were all feasting on (unlike my fellow four fans), but it did play on my mind so much for the following days that I finally made the decision this morning to invest. Net-A-Porter is currently prepping my order. Baserange, for those of you who don't know it, is an Australian brand that centres around the kind of top-quality basics your wardrobe is probably always missing. The line started as underwear and has since expanded into ready-to-wear, offering both brilliant über-minimal lingerie and lounge pieces as well as now swim, dresses, jumpsuits and more. Sometimes, less really is more, and this has been proven by the crazy-popularity of one unassuming black dress in a circle of discerning fashion types, but also by a similar all-black iteration in woven cotton from Arket that's been trending on Instagram. I cannot wait to wear mine à la Monikh, with flat chunky sandals and gold jewellery, but for now it still works well with boots and a coat or jacket. Keep scrolling to shop it for yourself.